The latest statistics show that Nigeria lost 36% of its primary forests between 1990 and 2005, thus putting the nation second only to Honduras by that sad measure. The grim reality is that by 2046, Nigeria’s forestland will be desertified—or reduced to grasslands at best—in the absence of a restorative intervention. The implication of this on national social and economic stability could be catastrophic, as forest-dependent people are stripped of their livelihood. 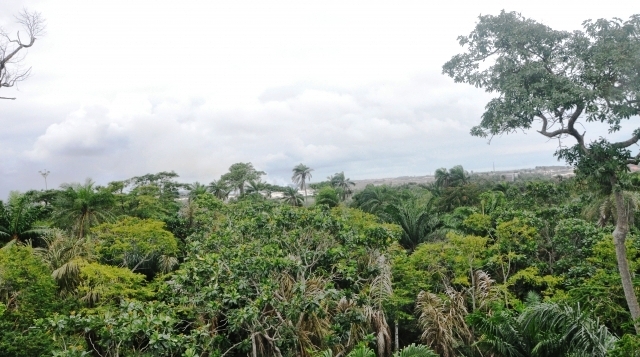 Now, in November of 2018, the Nigerian Conservation Foundation (NCF) has launched the Green Recovery Nigeria (GRN) initiative in response to the dire need for retaining a significant portion of Nigeria’s forested landmass. The GRN’s mission is to restore the country’s depleted coastal mangrove forests, and reclaim the inland farmlands and forests lost to desertification. “Nigerian Mangroves make up 40 per cent of the remaining original forests in Nigeria and cover 10,500 square kilometres. Mangrove degradation is being caused by oil pollution, firewood cutting, over-exploitation and sand filling among other factors,” they continued. NCF, together with other environmental NGOs, has already launched a number of mangrove restoration projects around the country, with the goal of restoring at least 70% to their original size and state of health. The foundation, as the Nigeria’s leading NGO, traditionally focuses on environmental sustainability. But—as with conservation organizations worldwide over the past two decades—they have realized that “merely” slowing the rate of destruction won’t save them. Only by combining conservation with restoration can they hope for resilient prosperity. Forest resources provide employment for over 2 million Nigerians through the supply of fuel wood and construction poles. Over 80,000 people also work in the log processing industries, especially in the forest zone of the southwest Nigeria, according to the Food and Agricultural Organisation (FAO) of the United Nations. NCF reports that, while forests are theoretically a renewable natural resource, they are disappearing because the rate of exploitation has exceeded its regenerative capacity. This knowledge, supported by data on current and past forest distribution in Nigeria, propelled action from NCF through the GRN project to reforest Nigeria. NCF is convinced that the GRN can remedy the situation. The overall goal of this initiative is to firmly establish a forest rehabilitation program in 25% (230,942 sq. km) of Nigeria’s total landmass (923,768 sq. km) from 2017 to 2047, while simultaneously promoting actions to curb deforestation and forest degradation. The requirements for its implementation seem unachievable to many locals, but with cues from previous successful reforestation projects around the world, NCF is confident that GRN will turn out to be a restoration economy success story. One example is in Brazil, where deforestation dating back to 1995, with the establishment of protected areas in the Amazon, have mostly failed. But they also implemented new reforestation-based social programs to reduce poverty and hunger, such as the Zero Hunger (Fome Zero) and Family Allowance (Bolsa Familia) programs. Case studies abound all over the world to reinforce the feasibility of GRN initiative. India embarked upon community management for reforestation and carbon farming initiative, while Payment for Ecological Services (PES) and Agroforestry were also adopted by Mexico and Vietnam respectively to address threats to forest landscapes. NCF recognizes that this is a daunting task and can only be achieved by all stakeholders in Nigeria. Stakeholders who will be key in the implementation of GRN include but not limited to: Federal and State Governments and their relevant agencies, local communities, national and international donor and development agencies (DfID, CIDA, USAID, ECOWAS), the private sector and International organizations (UNEP, UNDP) etc. 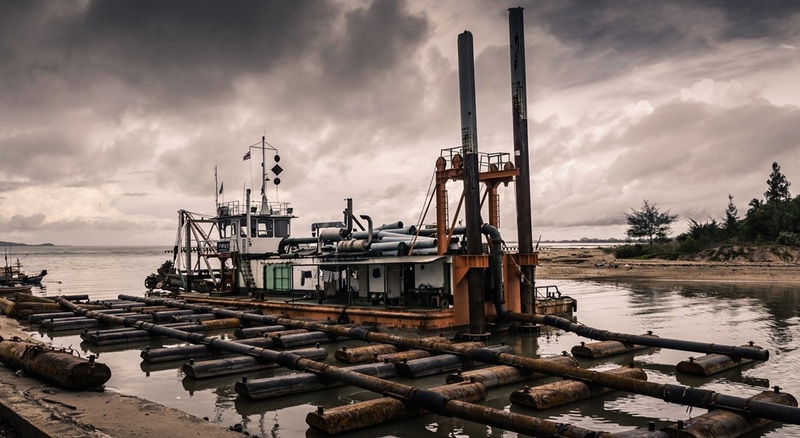 Photo (via Adobe Stock) shows a dredger parked in the mangrove-denuded estuary of Lagos, Nigeria.